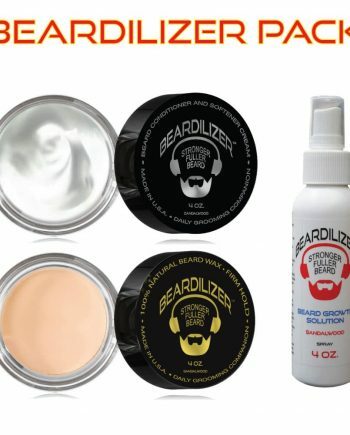 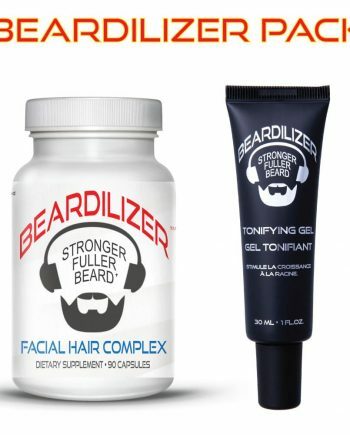 Buy beard vitamins from the brand that knows facial hair growth. 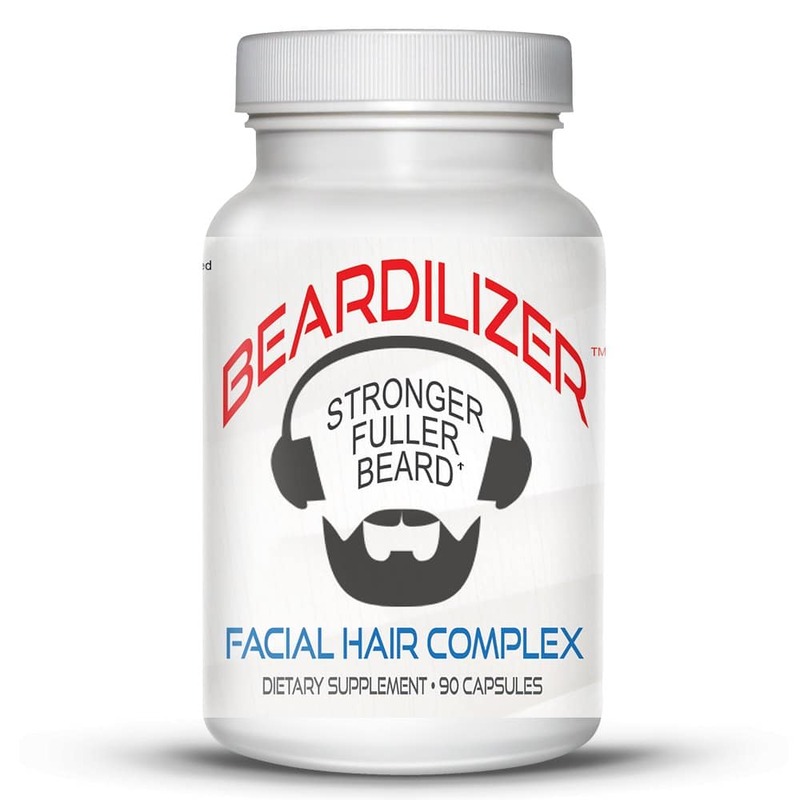 This high-potency multivitamin supplement is truly the beating heart of our beard growing program. 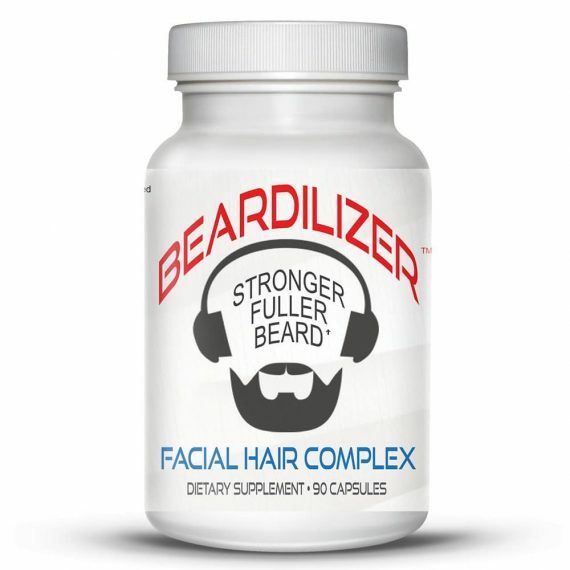 We start with the highest-quality multivitamins and add rare and therapeutic botanical extracts to create the most effective, all-natural, 100% drug-free beard growth supplement available. 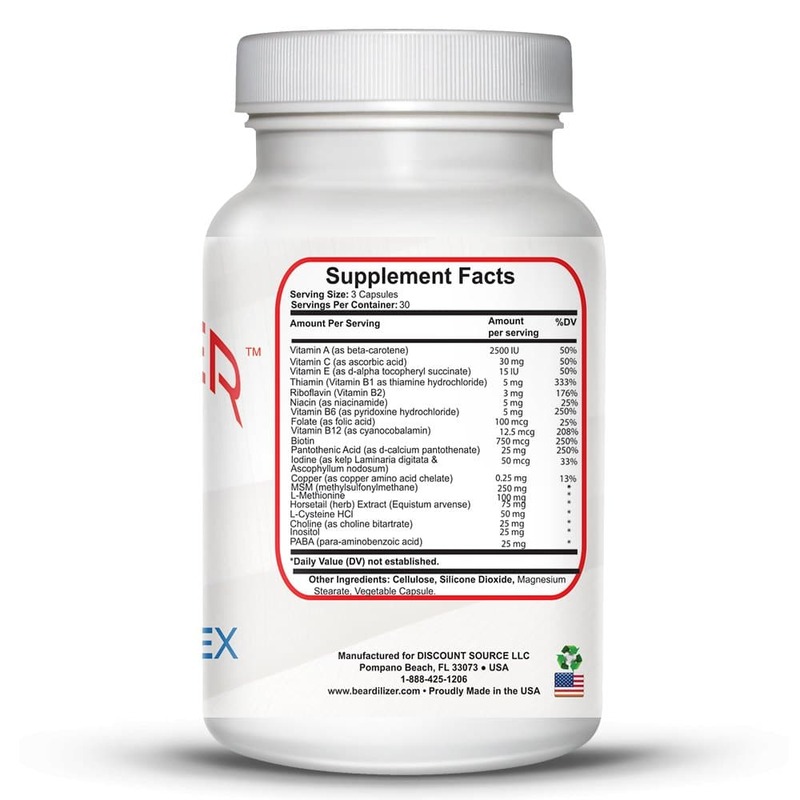 This 90-day supply of supplements is enough to last you through the highly-recommended initial intensive treatment program of 9 capsules a day, for 10 days: 3 capsules with each meal. 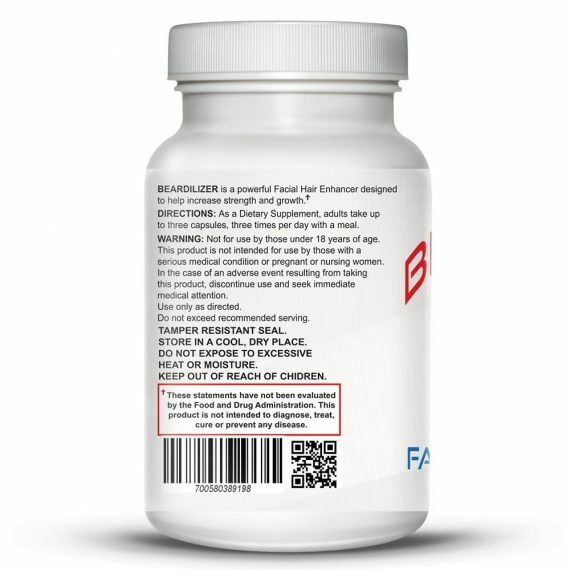 Alternatively, 90 capsules will last you through a month of regular care treatment: 3 capsules a day, for one month: 1 capsule with each meal. 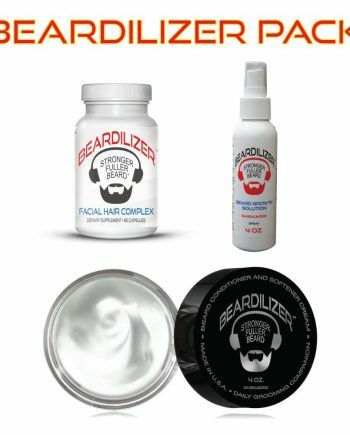 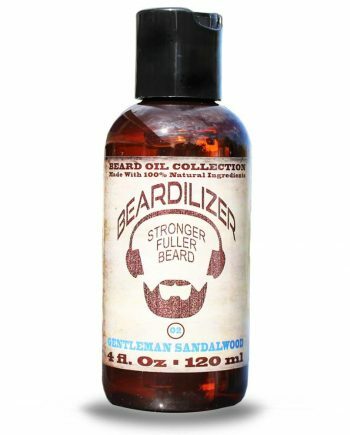 For those men who have been challenged by beard growth in the past, you owe it to yourself to indulge with this product. 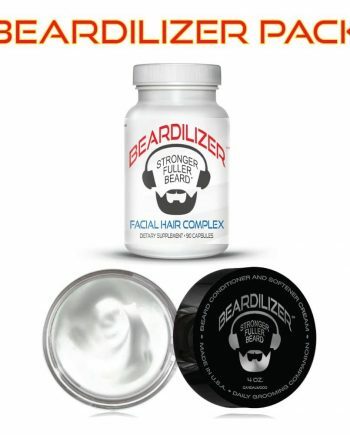 We are certain that with regular use of our supplement, you will soon be growing the thickest, healthiest beard ever! 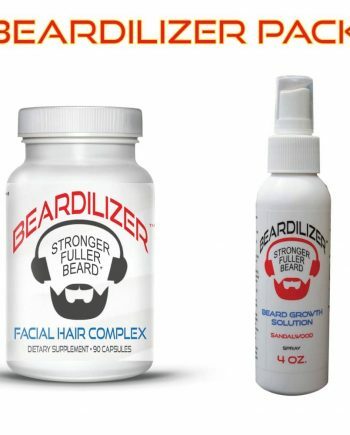 Improves facial hair moustache and beard promotes growth and prevents dryness and itching. Vitamin A (as beta-carotene) Vitamin C (as ascorbic acid) Vitamin E (as d-alpha tocopheryl succinate) Thiamin (Vitamin B1 as thiamine hydrochloride) Riboflavin (Vitamin B2) Niacin (as niacinamide) Vitamin B6 (as pyridoxine hydrochloride) Folate (as folic acid) Vitamin B12 (as cyanocobalamin) Biotin Pantothenic Acid (as d-calcium pantothenate) Iodine (as kelp Laminaria digitata & Ascophyllum nodosum) Copper (as copper amino acid chelate) MSM (methylsulfonylmethane) L-Methionine Horsetail (herb) Extract (Equistum arvense) L-Cysteine HCl Choline (as choline bitartrate) Inositol PABA (para-aminobenzoic acid). 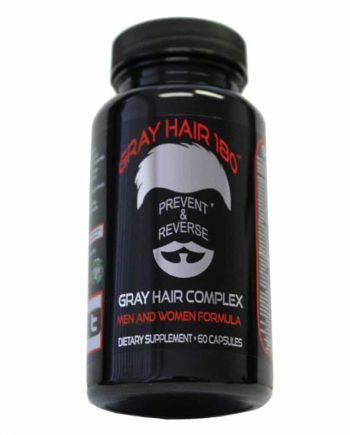 Other Ingredients: Cellulose Silicone Dioxide Magnesium Stearate Vegetable Capsule. As a Dietary Supplement adults take up to three capsules three times per day with a meal: Nine capsules per day for intensive treatment three capsules per day for care treatment. 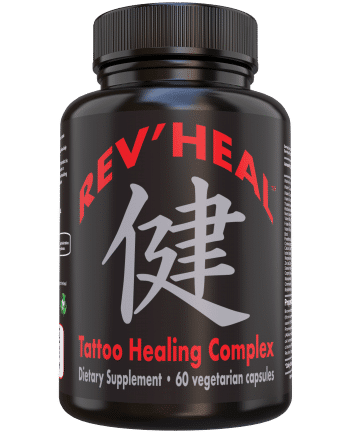 What are the benefits of each ingredients?